Macrorit Partition Extender Pro provides the latest technology to effectively manage your hard drive and storage partitions. It features a powerful data protection technology to effectively and safely manage your hard drive data without any data loss or failure. It can also expand the boot volume and redistribute free space between partitions if you are running out of hard drive space. Auslogics Disk Defrag Pro is a fast and feature-filled defragmentation program. It defragments your whole computer, allows you to pick between four disk optimization techniques, and even has special algorithms for SSDs. Auslogics Disk Defrag Pro is the professional edition of your favorite disk defragmenter, which delivers even more speed to your hard drive, thanks to new optimization algorithms and boot-time defrag technology. Aurora Blu-ray Media Player lets you play Blu-ray discs, ISO files, and other video formats right on your computer without compromising quality. This kit includes Security Intelligence: A Practitioner's Guide to Solving Enterprise Security Challenges, plus other valuable resources. iSkysoft PDF to Word Converter allows you to convert PDF documents to word file easily and quickly. 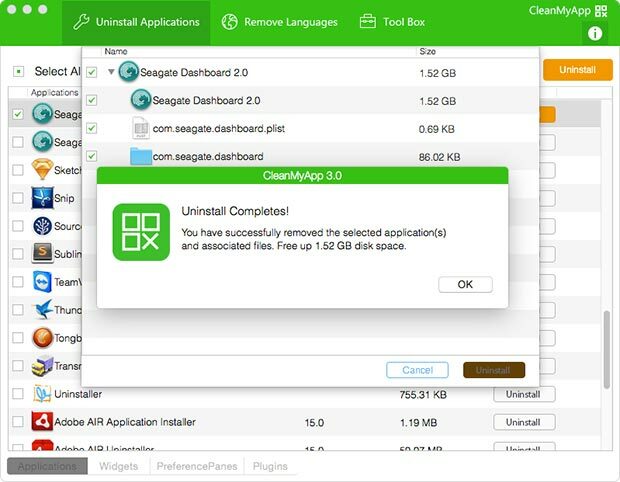 CleanMyApp, developed by DoYourData Software, is a very powerful Mac Uninstaller and multi languages remover. It can completely uninstall Mac application and remove associated files, clean up all leftover. Installing a Mac application is very easy. But completely removing the installed application is complicated. 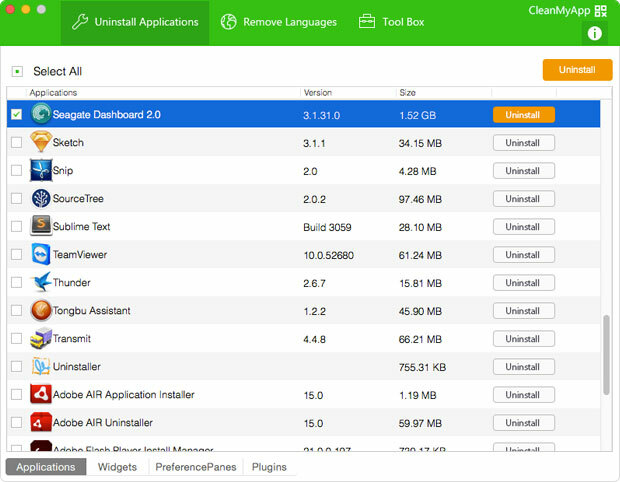 CleanMyApp is designed for completely uninstalling Mac applications, widgets, plug-ins. It will remove all parts of the selected application, clean up all junk files and traces that produced by the application. Support to uninstall applications that you download from Mac App Store or from other websites. Completely uninstall the application and remove associated files including junk files that produced by the application, registry files, traces, etc. Even can completely uninstall the virus infected, crashed, stubborn application on your Mac. Support to uninstall applications in batches. Many applications are developed with multi languages. The multi languages files take up a great deal of disk space, but some of them are useless. CleanMyApp can help you easily remove the unnecessary languages of the applications. Dose for Excel is a powerful, feature-rich add-in for Microsoft Excel, which allows you to quickly perform functions that would otherwise take up much time. The tool integrates with excel and allows you to easily access its features from the command ribbon. 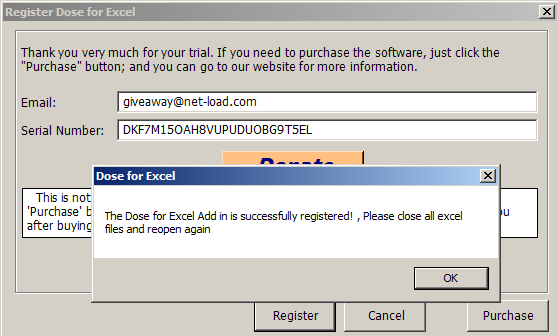 The advantages brought by Dose for Excel are simple and very handy especially for users who often work with Excel. Some features are new to Excel while others are greatly simplified. Tenorshare iCareFone can repair iOS system issues, delete unwanted files and optimize your ongoing performance. It can filter out annoying ads with it. The most important one is it can create a iPhone backup while bypassing iTunes. iOS cleaner. It deletes cookies, caches, junk files, etc. Save up to 10G space for 32G iPhone. Fix iOS stuck issues. Exit iPhone recovery mode, DFU mode, zoom mode, shuffle mode, etc. Repair iOS system to fix iPhone stuck in apple logo, black screen, blue screen, etc. Tranfer iDevice files from iPhone/iPad/iPod to PC or Mac. To get a free license code leave a message in the giveaway link above. Tenorshare stuff will send a code to you. NOTE: This giveaway ends in July, 15, 2016. Driver Booster is a driver updating software, created with IObit's most effective driver update technology. The program scans and identifies outdated drivers automatically, downloads and installs the right updates for you with just ONE click.